MTG Hawke’s Bay is a place where people, objects and ideas meet. 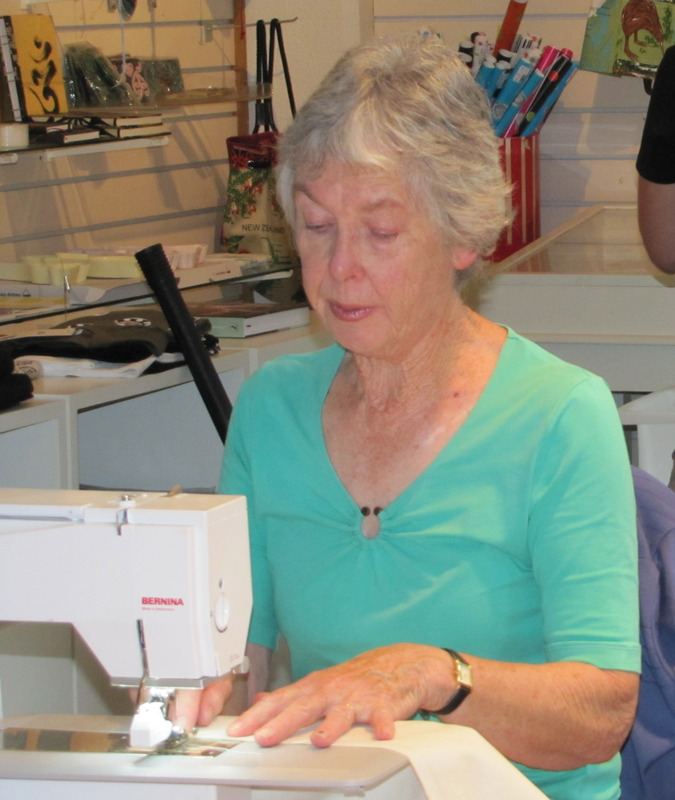 Volunteers play an important role in museums and galleries and MTG Hawke’s Bay is fortunate to have a regular volunteer, Carol Dacey, who holds the honorary position, Keeper of Textiles. 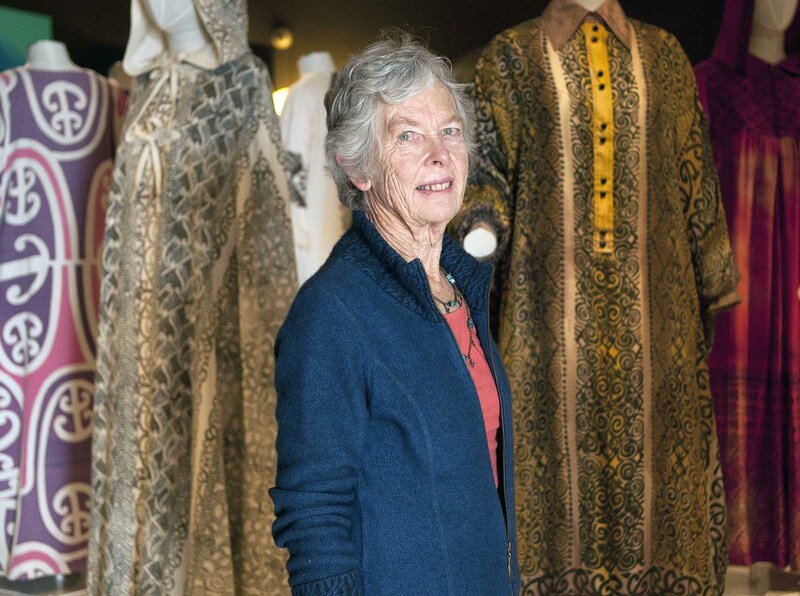 In the weeks prior to the opening of the current exhibition Travel in Style which features items from the wardrobe of New Zealand politician and style icon Whetu Tirikatene-Sullivan, Carol offered advice and assistance in mounting the garments. She was also involved with a number of projects at the time of the redevelopment and continues to provide invaluable assistance. I caught up recently with Carol to talk about her role at MTG Hawke’s Bay. With so many organisations requiring volunteers, what appealed to you about volunteering at the museum? I was told that the former Honorary Keeper of Textiles, Joan Maclaurin, was leaving and someone was needed who was able to sew and work with textiles. Having just retired and being a keen sewer, it fitted in well and I liked the idea of working in a museum environment. Since joining the museum I have learned many new skills and I thoroughly enjoy helping alongside the enthusiastic staff of the museum. When did you first begin volunteering here? In 2006.
Who have you worked alongside at the museum? I have helped in the Access/Collections and Design and Build teams and I have also worked with the Education team. Prior to the redevelopment of the museum, what sort of projects were you involved with? I made calico covers for the men’s suits that were hanging in racks. When the covers were made it was difficult returning them to the hanging racks because of the extra bulk from the fabric and because the space was so confined. I also made ‘sausages’ of different sizes from scraps of calico. These were put into the shoes to stop them from bending and to help prevent the leather cracking. I saw many shoes ranging from babies shoes, which had to have the sausages custom-made, to army boots which required stuffing with several sausages to hold them in shape. 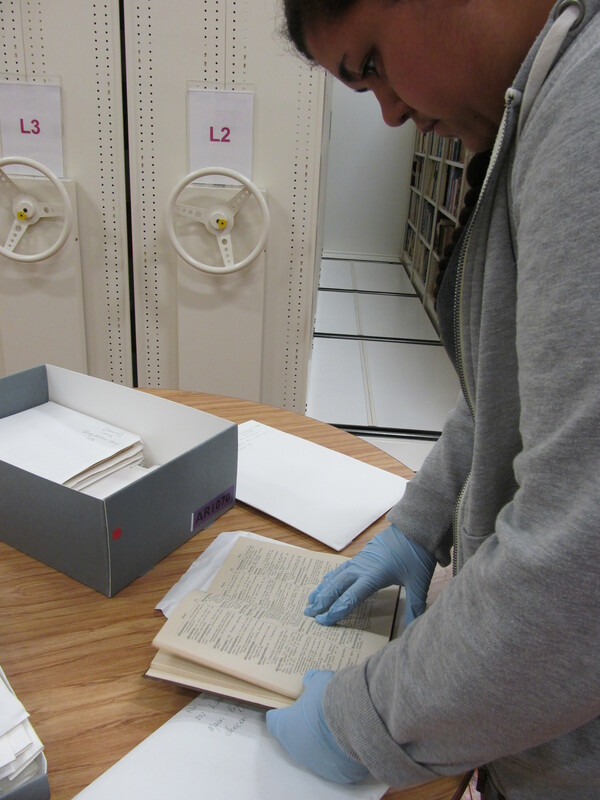 I have re-covered chairs for exhibitions and before the museum closed, I helped a staff member check the accession numbers in the Textiles and Social History department, to make sure the items were correctly catalogued. This was an interesting task as I saw many items in the collection and as some of them were quite large and the accession numbers minute, it could be tricky to find where they were located. When the museum closed in 2010 were you able to continue in your voluntary role? My main job when the museum closed was to make different sized cushions to fit inside the packing boxes. During the closure there were two or three sewing and box-making ‘bees’ where staff and volunteers sewed and stitched the cushions and assembled the packing boxes. I washed and ironed many loads of 20 metre lengths of calico, and in my sitting room which became a sewing workshop, I cut out between 750 and 800 cushions. My husband Richard patiently avoided this room for the duration of the project! I measured and cut out the calico and Dacron and marked the cushions individually so although I sewed many of them myself, some could be easily handed on to other sewers. Was there anything else that you helped with during this time? Prior to the re-opening of the museum I helped to mount some of the mannequins for the opening exhibitions. This was a new experience for me and I really enjoyed it. The 1870’s wedding dress required about 5 different petticoats made of tulle and calico to recreate the full style of the skirt. I also mounted a small boy’s dress which was challenging because the neckline of the dress was much wider than the small size mannequin. To overcome this, I had to extend the shoulders of the mannequin in a life-like way to support the dress. I did this with calico, Dacron and conservation card and I also made a small petticoat to support the skirt. 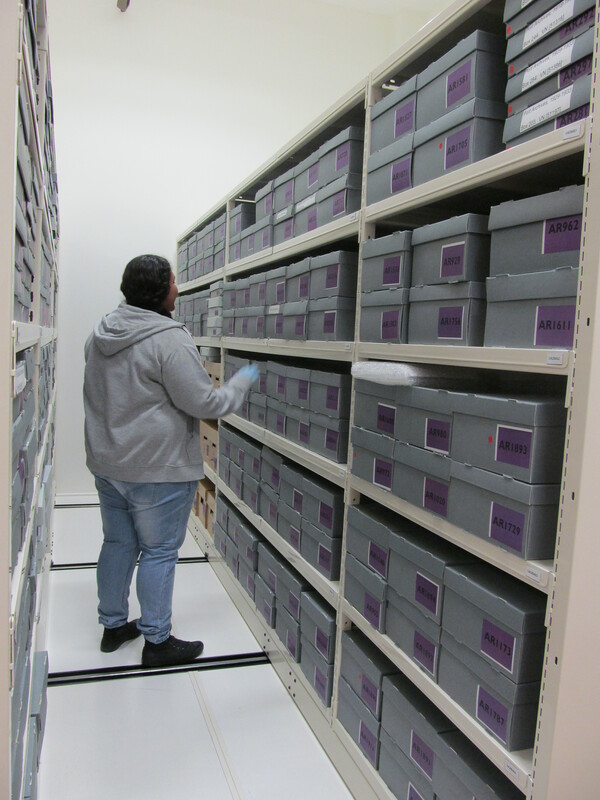 At the museum’s off-site store, I helped the Curator of Archives during the scanning and cataloguing of the photographic collection for the online catalogue by sorting through the photographs and identifying any duplicates. I have also helped the Collections photographer mount clothing and jewellery for photography for record purposes. Some of these were the beautiful beaded dresses in the collection. I also sew accession labels into newly acquired garments. What has been one of the more challenging tasks you have undertaken? The most challenging to date was preparing and mounting the garments for the current exhibition ‘Travel in Style’. Why was this challenging and what did it involve? A lot of people think you just put the dress on the mannequin or stitch it to shape in some way. In reality you have to make the mannequin fit the dress, using calico, Dacron, card and a lot of ingenuity! Making and attaching legs to fit inside the trousers required a lot of thought and a certain amount of dexterity, partly because of the mannequin’s supporting pole! As ironing the garments is not permitted we used a steamer needing two people to operate it – one holding the steamer and the other manoeuvring a pad underneath the garment. I made a large and small pad shaped like a table tennis bat. This help to safely apply the right amount of pressure underneath the garment as it was steamed. Carol also volunteers as a host in the museum’s upstairs galleries where she meets and chats with visitors and answers questions or offers background information about the setting and the exhibits. At this moment I am sitting in a curatorial office, a place not accessible by the public, working on not only this blog but work that will be featured in the Ūkaipō – ō tātou whakapapa exhibition by Migoto Eria. 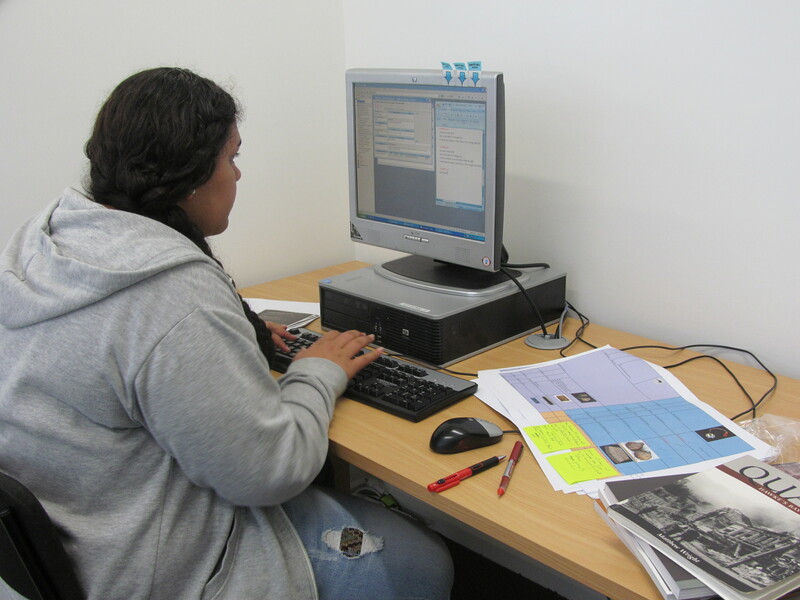 I am a volunteer student from Hukarere Girl’s College learning the ropes of being an exhibition curator. Once a week I spend the afternoon at MTG, working with Migoto and learning about the different aspects of a job as a curator. In the few weeks I have been volunteering at MTG I have gained a better understanding of the importance of artifact placement in an exhibition or the amount of care that is needed when handling these precious taonga. To succeed in a career as a curator you must have a sharp eye for detail and be able to see things from another’s perspective, skills I only hope to improve while working with Migoto. However there is a lot of work that is not seen by the public, such as the researching, planning, meetings, graphs and charts behind the artifact you see in the display cabinets; if only you could see the photos, papers and sticky notes scattered around Migoto’s desk. In my short time here I have seen how passionate these people are about their work, from Migoto and her fellow curators, to the design team who make so much of these exhibitions possible even the friendly people who welcome you as soon as you walk through the doors. I would advise young people who are interested in a career path as a curator or museum worker to come down at check what’s happening at MTG, everyday I’m gaining experience and improving my skills that will help me in the future, I’m working my way to the top.